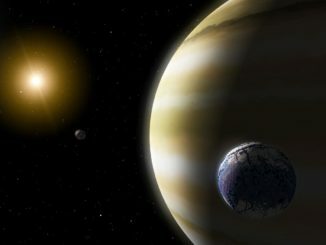 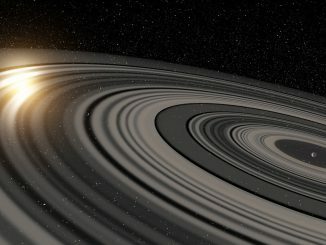 Researchers from Japan and the Netherlands who were previously involved in the discovery of an exoplanet with huge rings have now calculated that the giant rings may persist more than 100,000 years — as long as the rings orbit in the opposite direction compared to that of the planet around the star. 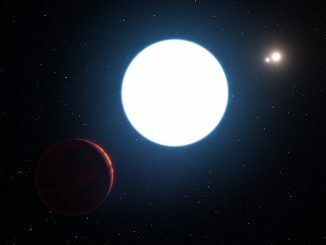 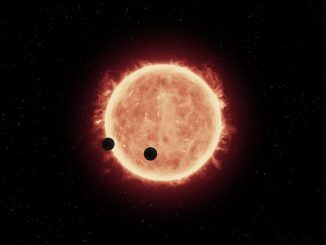 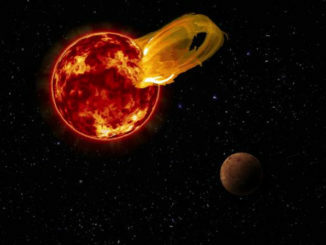 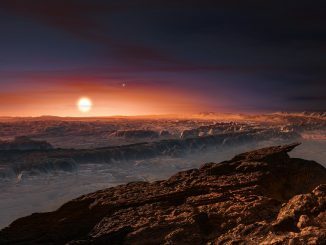 A distant planet orbiting two red dwarf stars, found by its warping of spacetime, has been confirmed using observations from the NASA/ESA Hubble Space Telescope. 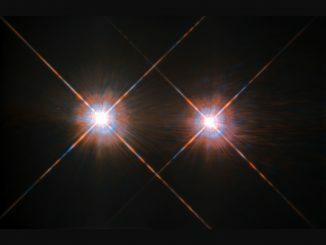 The planet’s mass caused what is known as a microlensing event, where light is bent by an object’s gravitational field. 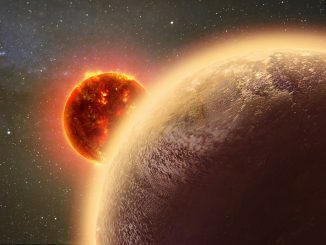 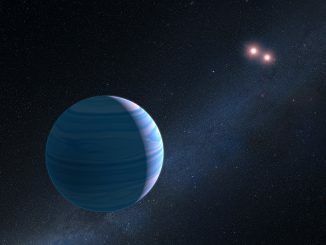 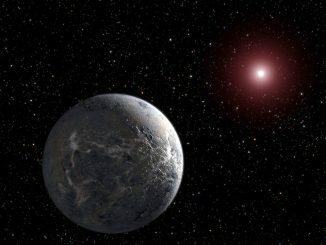 This is the first circumbinary planet to be confirmed following detection of a microlensing event.